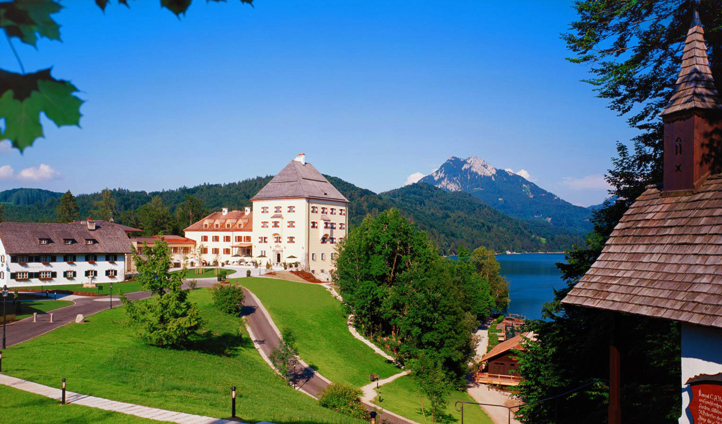 Is there any better way to experience the hills of the Sound of Music than with a stay in a fairytale castle? We don’t think so – and nowhere does fairytale quite like Schloss Fuschl. With 110 elegant rooms and picturesque views over Lake Fuschl and the surrounding mountains, this idyllic retreat has so much to offer – and you don’t even need to leave the castle grounds. 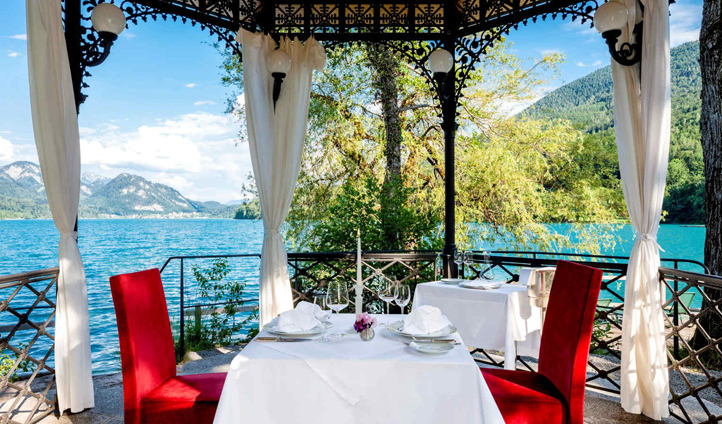 Hop on board the hotel’s wooden boat, die Hoferin, and glide across the waters of Lake Fuschl, tee off at the hotel’s very own 9-hole golf course, or simply relax in the spa. In the evening, sate your hungry appetite with dinner at Schloss Restaurant where you’ll enjoy a taste of authentic Austria with their specialty of smoked trout, fresh from the castle’s own on-site fishery. A stay in a castle naturally demands the royal treatment, so arrive in style at Schloss Fuschl in the back of a vintage Rolls-Royce. Or better still, skip the traffic and take to the air, landing at the hotel’s very own helipad. Surrounded by fresh mountain air, with views over deep lakes, thick forests and green pastures – it’s hard to believe that Schloss Fuschl is just 25 minutes from cultural Salzburg. This legendary hotel really does have the prime position. Golfing, hiking, museum hopping – it’s all just off your doorstep. The 110 guest rooms and suites of Schloss Fuschl strike the perfect balance between tradition and modernity with elegant furnishings and beautiful paintings from the Schloss Fuschl Collection. A warm color palate and views across the Lake come together to create a cozy space to unwind at the end of the day. For ultimate peace and tranquility, head to one of the lakeside cottages and enjoy the warmth of the sauna and the crackling of the fire. Or for ultimate opulence, there’s always the whopping two-storey Mozart Presidential Suite – complete with a grand piano, in honour of the maestro himself. Schloss Fuschl is a real treat for the eyes. From the artworks of the Old Masters that adorn the walls to breathtaking landscapes – you’ll hardly know where to look next. Whatever the weather though, our favorite place to be has to be the jetty. On warm, sunny days, sit back and enjoy a cooling refreshment before jumping into the lake’s pristine waters. Whilst in the winter months, look out over the wintry landscape as you wrap up warm in fur blankets with a mug of the legendary tongs punch in hand.